For someone undergoing cancer treatment it is often not just the disease itself that is devastating, but also the hair loss that often accompanies chemotherapy. In most cases the alopecia (the medical name for hair loss) is temporary. However, one chemotherapy drug, Taxotere, has been linked to permanent hair loss according to some who have used the medication. A wave of pharmaceutical injury lawsuits across the nation allege that the drug manufacturer, Sanofi-Aventis, covered up what it knew: that patients treated with Taxotere are more likely to remain permanently bald. Taxotere is the brand name of docetaxel, one type of drug from a class known as Taxanes. 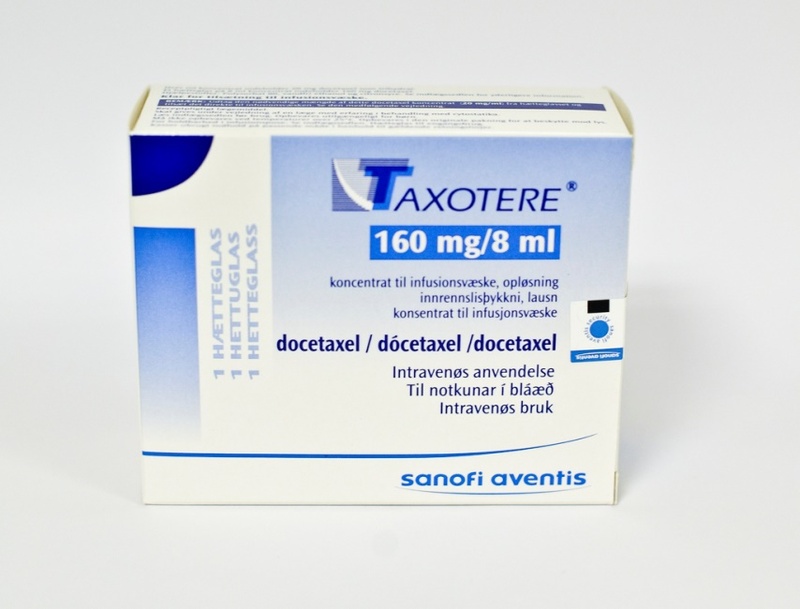 Taxotere is given intravenously to treat breast cancer, non-small cell lung cancer, and certain cases of stomach, head, neck, and prostate cancer. The French companies Sanofi S.A., Aventis Pharma S.A., and Sanofi-Aventis U.S. LLC, created and sold the drug in the U.S. under the name Winthrop U.S.
As the alleged link between Taxotere and persistent or permanent hair loss has come to light, a number of product liability lawsuits have been filed across the nation. Taxotere lawsuits allege that Sanofi covered up the link between the drug and permanent disfiguring hair loss. At the same time, the company is claimed by plaintiffs to have incorrectly advertised the drug as more effective than competitors while marketing it for off-label use. According to the Taxotere hair loss lawsuits, Sanofi began testing the drug in 1990, but allegedly did not disclose to patients and doctors in the United States that the drug could cause permanent baldness. The FDA denied approval in 1994 because it found Taxotere more toxic than other options that had already been approved. It recommended more studies of its side effects. In 1996, the FDA approved the drug for treatment of advanced breast cancer in cases where other chemo treatments have failed. A 2008 study published in the New England Journal of Medicine found that competitor Taxol (paclitaxel) was more effective than Taxotere for many patients, but Sanofi continued promoting Taxotere as having “superior efficacy” over it. The FDA reportedly stepped in in 2009 to issue a warning to Sanofi. It found that Sanofi had misbranded the drug by incorrectly stating that Taxotere was more effective and offered better survival rates than paclitaxel. In 2015, a Sanofi employee brought a federal whistleblower lawsuit under the False Claims Act. The lawsuit alleges that the company and its affiliates have engaged in a fraudulent marketing scheme to promote the drug that includes paying kickbacks and other illegal incentives to doctors to prescribe Taxotere. The alleged scheme involved concealing the toxicity of the drug and rigorously promoting it for off-label use. The promotion is alleged to have increased sales from $424 million in 2000 to $1.4 billion in 2004. In addition to illegal and misleading promotion of Taxotere, plaintiffs accuse the manufacturer of failing to warn United States patients and doctors about the risk of permanent hair loss. At the same time, it warned the medical community abroad, including in the European Union and Canada, that use of the drug could cause permanent disfiguring alopecia. Can Taxotere cause permanent hair loss? Plaintiffs in these cases claim there is evidence that the manufacturer knew or should have known that Taxotere could cause permanent alopecia. The company’s own study, GEICAM 9805, began in the late 1990s. It showed that 9.2% of the users suffered from persistent alopecia that lasted up to a decade. Despite this knowledge, Sanofi did not warn American doctors or patients of the risk. The drug maker received additional evidence of the hair loss risk in 2006 when an oncologist in Denver noticed that his patients who took Taxotere were more likely to suffer persistent or permanent hair loss. A little more than 6% of his patients taking Taxotere experienced long-term hair loss. No class action lawsuit has been filed against the makers of Taxotere but individual victims may file personal lawsuits. If the number of Taxotere hair loss lawsuits reaches a significant number, individual cases could be combined in a multidistrict litigation (MDL) procedure. MDL is a process commonly used in dangerous drug liability lawsuits. Multiple plaintiffs are pooled together in one court before a single judge and all of the cases go through pretrial steps, like document exchanges, together. The judge can make rulings on discovery issues that apply to all of the member cases. Unlike a class action lawsuit, where one plaintiff stands in the place of many class members who do not personally participate in the action, MDL plaintiffs each retain their own identity and ability to try a case or reach a settlement. Some of the possible benefits of bringing cases into a Taxotere MDL would be a faster and more streamlined pretrial process and the consistency that comes with designating a single judge to issue similar rulings across many cases. MDLs also facilitate communication between the many parties, encouraging settlement. Since Taxotere hair loss litigation is in the beginning stages, there has not been any Taxotere lawsuit settlement announced yet. Settlements become more common as claims are developed during pretrial discovery and the parties learn more about the evidence the other side will present. Settlements are also often seen after the end of a bellwether trial – these are test cases that the parties take to trial to gauge how juries will receive their arguments. Any Taxotere settlement is likely to take into account the claimed damages, which includes physical, economic, and psychological effects.